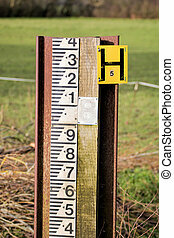 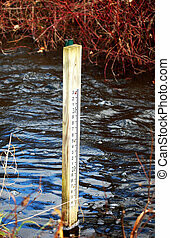 Flood level water depth marker post. 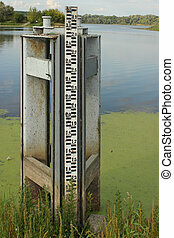 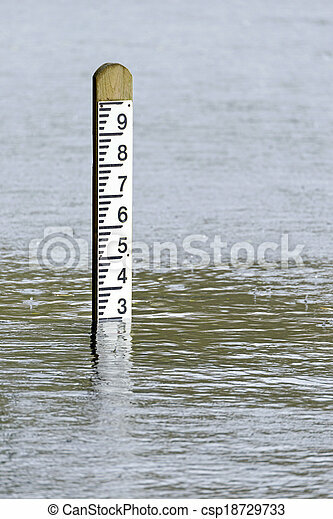 Flood level depth marker post with rain falling into the surrounding water. 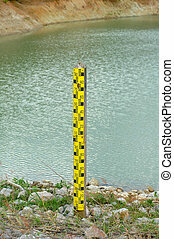 A depth Marker is showing water depth. 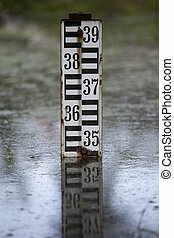 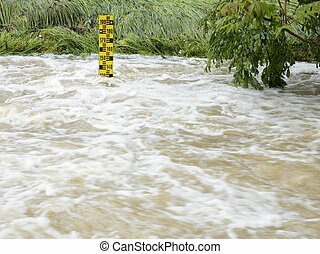 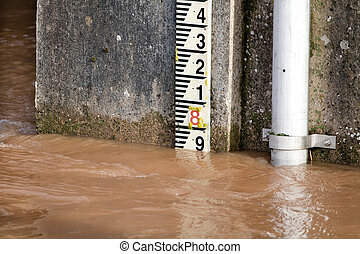 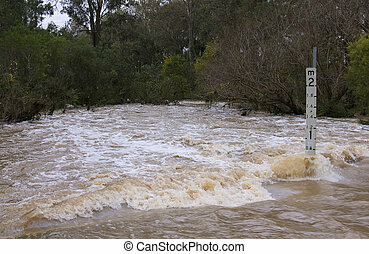 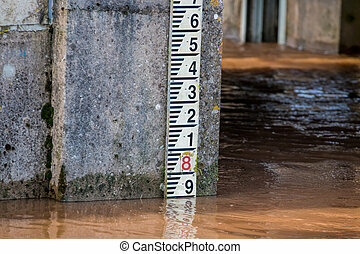 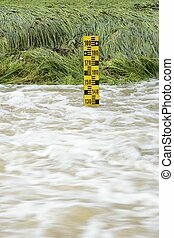 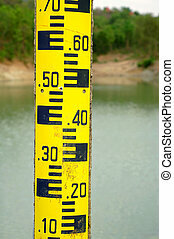 Measurement Gauge for flood water level. 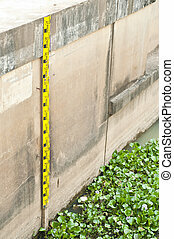 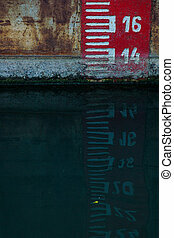 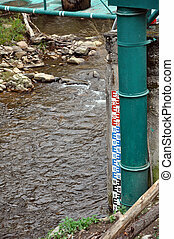 Measurement gauge marker for river water level.